There's only so many places left in this well-trodden tourist world, where you can immerse yourself in the one of the most famous landmarks on earth and still feel a million miles from anywhere - including other hordes of tourists. 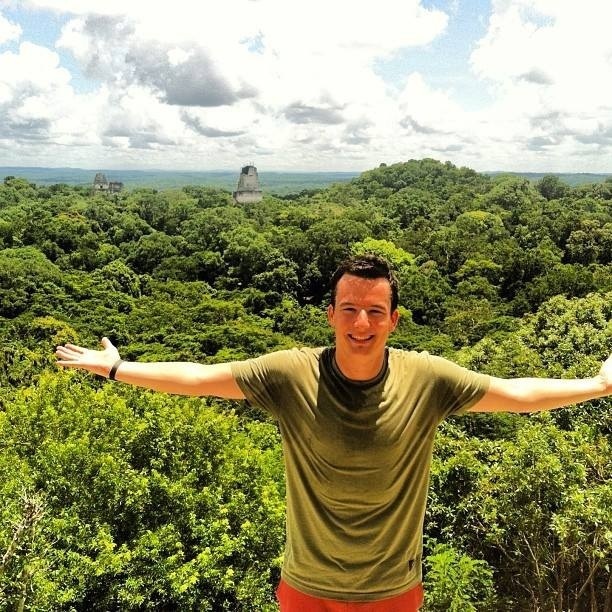 Such was the majestic and spiritual experience I had at Tikal, the most famous of the Mayan ruins, located deep in the jungles of Northern Guatemala. 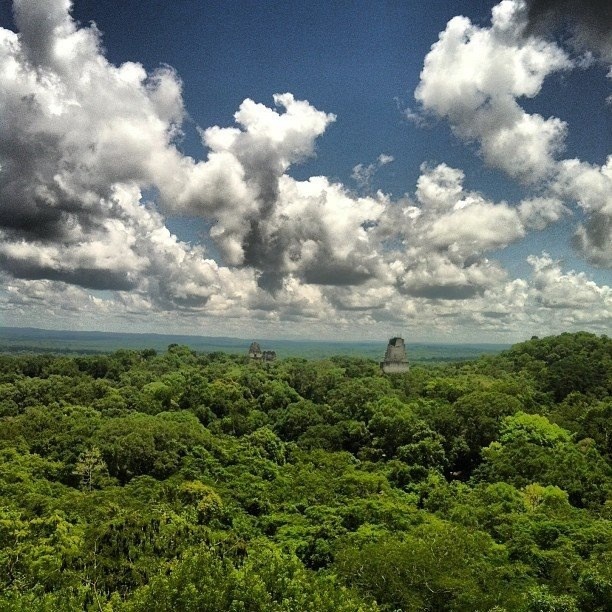 One year ago, I never thought I'd be climbing Mayan pyramids and looking down at the dense jungle below. However life has a strange way of leading you to places you'd never imagined yourself setting foot. After my obsession with the US reality series Survivor, my favourite season being the 11th season filmed in Guatemala among the Mayan Ruins, I felt a longing to make the pilgrimage here for myself and see how these magnificent limestone structures in the flesh. A few months after watching the series, I'd booked the flights and a 14 day tour, with my personal highpoint being this very moment: travelling into the misty (and humid) mosquito ridden jungles of Guatemala to experience the relics of this ancient civilisation. Let's not forget this was a civilisation that was home to up to 90,000 Mesoamericans during the height of the Mayan Empire with structures that remained the highest in the free world until the 19th century. 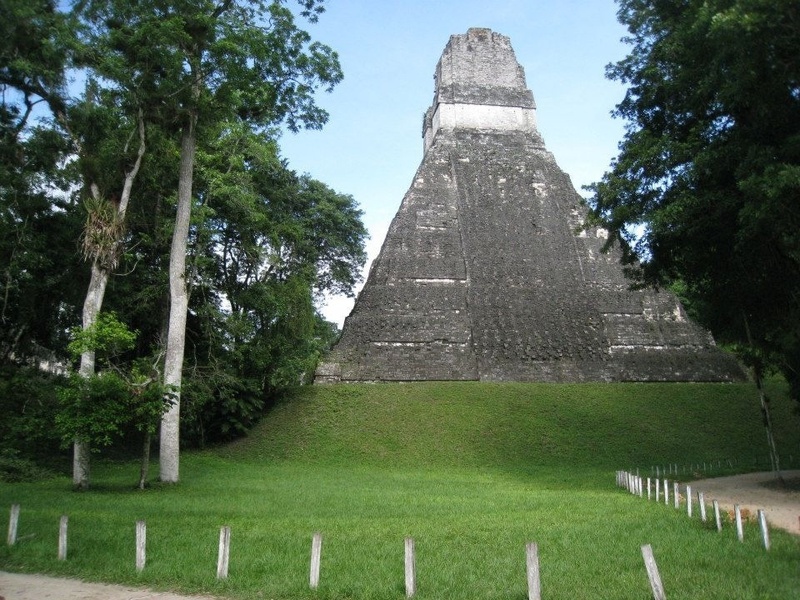 Tikal National Park itself covers a huge area of jungle with the central point being the Grand Plaza. Standing here at looking at the massive landmarks and relics of a lost civilisation towering over you can only be seen to be believed. Probably the most impressive and remarkable thing about where the temples where built was at the exact spots where the sun would rise and set, and the pyramids were placed to face sunrise and sunset at different times of year. This was all part of the intricate and highly advanced mathematical system the Mayan used to tell what time of year it was, and was an essential step in developing the Mayan calendar. From the Grand Plaza, the central and north Acropolis lay on either side and are perfect to explore for their nooks and crannies, thought to be the residences of the royals and nobility. With openings in the stone serving as windows, it was easy to imagine how this place would have felt when the Mayan royalty actually lived here. They had the perfect vantage point of the open plaza area below where the Mayans would compete literally to the death in ancient ball games, with the losers bearing the ultimate sacrifice. The contrast of verdant green turf against steely grey limestone structures in the Grand Plaza is like stepping back in time to the pre middle ages, when the city was in the height of it's peak between 600-900AD. 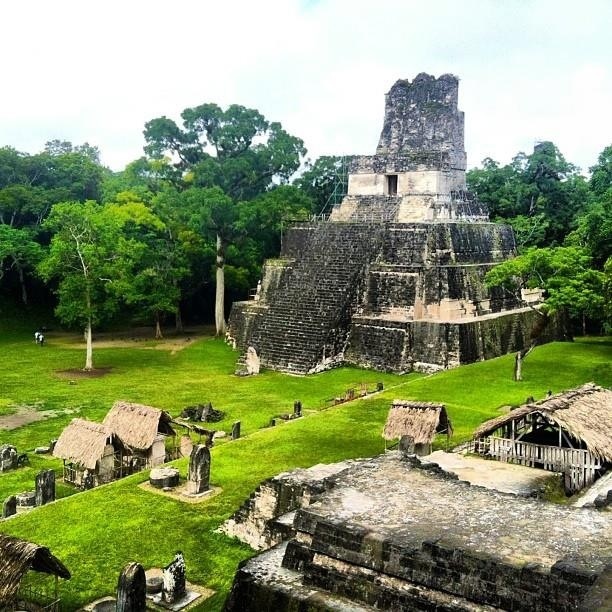 While the jungle, dirt and trappings of time still cover many of the structures in the huge area, some of the most imposing (and impressive) structures have been carefully restored by archaeological teams from around the world. 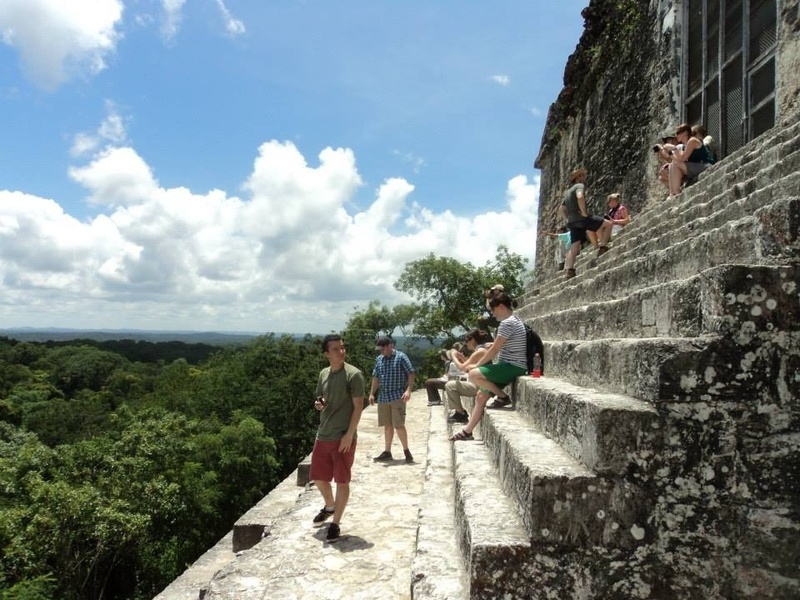 You can easily spend a whole day roaming among the temples of Tikal and as I kept saying 'getting your Indiana Jones on,' spending time poking around the different angles and crevices and taking what seemed like a million pictures in the process. 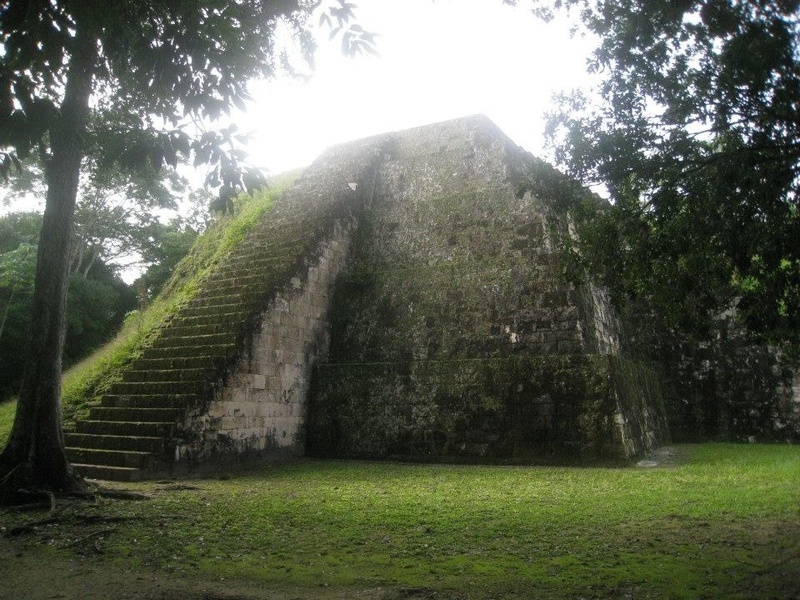 Temple IV is the highest of all the Mayan pyramids, and too high to climb without using the purpose built wooden stairs. (You can climb any of the other unassisted, but their steepness and height of the steps is not for the faint hearted, and you'll be sweating up a storm in no time.) Hot tip: Bring bug spray the mozzies here are relentless. To say the views from the top, especially from Temple IV are worth it, however would be a massive understatement. Mind blowing would only start to cover it. If you can make the trip to Tikal early, the sunrise from the top of Temple IV is a 'pinch yourself I'm actually here' moment, as you look down at the jungle canopy below, often shrouded in mist, and other temples at the site poking through the greenery. Those wanting to experience the wildlife of the jungles of Northern Guatemala won't be disappointed. Spotting wildlife here is easy, and if you keep your eyes out, you're also in for a chance of glimpsing the elusive Jaguar and the rather odd looking pig and donkey inspired Baird's Tapir who call the jungles of Guatemala and neighbouring Belize home. 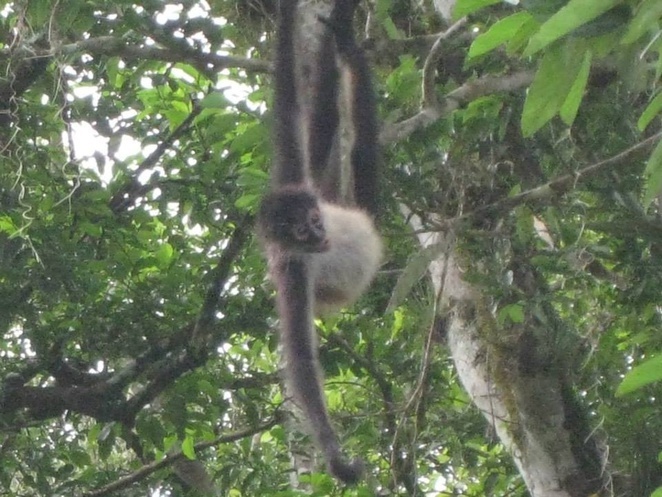 In any case looking up in the trees to sight Spider Monkeys is almost guaranteed with whole colonies of the small monkey swinging from tree to tree. The larger and noisier Howler monkeys can also be heard roaring through the jungles, although are harder to see. Our guide found us a hairy tarantula which I'm pleased to say I was brave enough to hold. While other's in the tour group weren't completely convinced I also saw the unmistakeable long bill of a Toucan bird high in a tree and the bright splash of its yellow feathers before it took to the skies and disappeared. 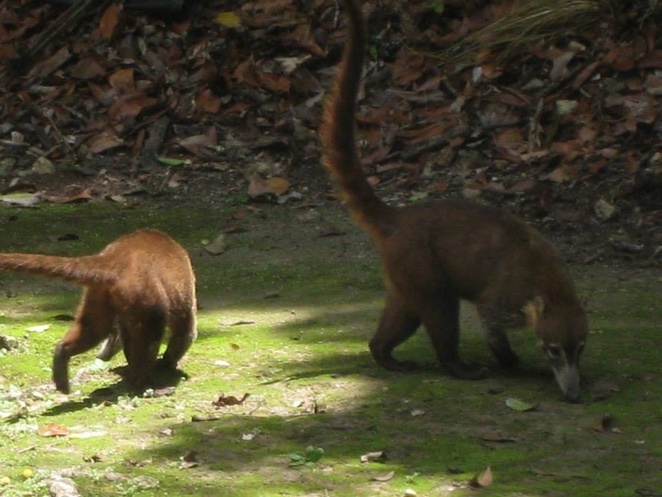 There are also the ant eater/raccoon inspired Coatimundi who are not shy of tourists and come right up to you looking for food. 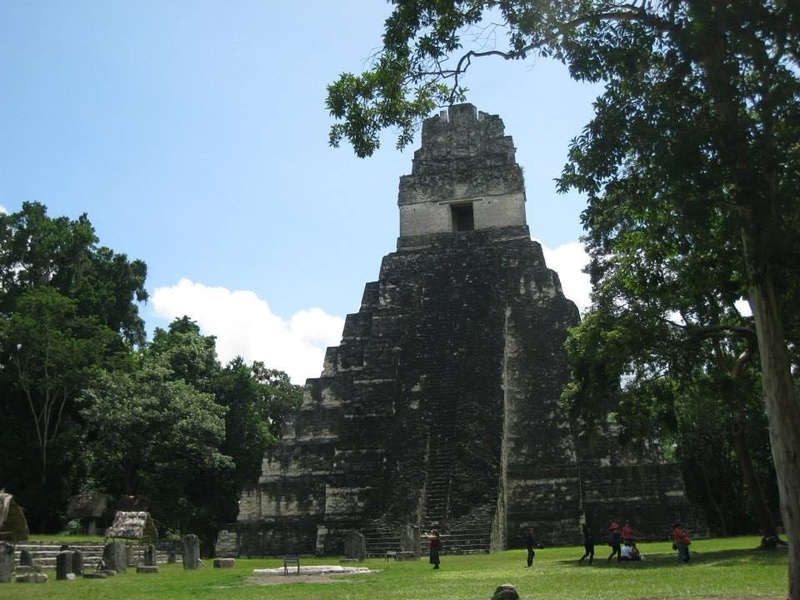 Tikal isn't the easiest of places to get to – especially since you'll have to transfer via Guatemala City located around 300 kms south. Many US cities including Los Angeles, Houston and Miami have frequent services to Guatemala City. 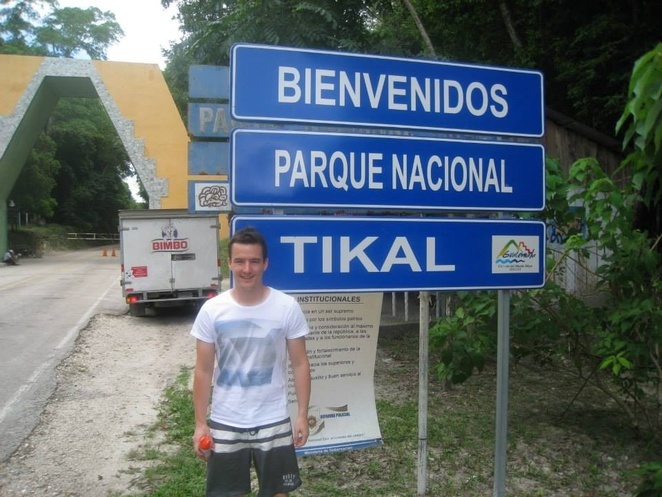 While there are air connections to the city of Flores (the biggest town close to Tikal) they are few and expensive. Several other people we met on the trip arrived in Tikal from the neighbouring Caribbean country of Belize, or had explored the region including Tikal and northern Guatemala by moving down Mexico's Yucatan peninsula. With so many other things to do in this part of Central America, organising a tour of some form is likely to be the best value and most practical way of seeing the country, especially if you were like me and your Spanish language skills are negligible. 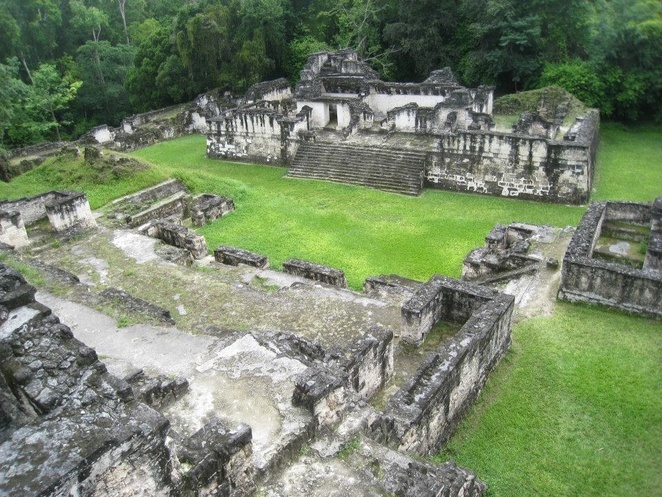 Despite Tikal not being the easiest of the Mayan sites to visit - it is unmistakably the Jewel in the crown. As the largest in Central America, covering almost 24 square kilometres with 80 per cent of ruins still unexcavated and an estimated 3000 structures, once you do get here – you'll barely be able to believe what you are seeing. Just over one month on, I'm still pinching myself and asking if it was all a dream and if I was actually here. The photos provide some proof, but as the most adventurous trip I've been on, the mystery of the Mayans still has me wanting more. 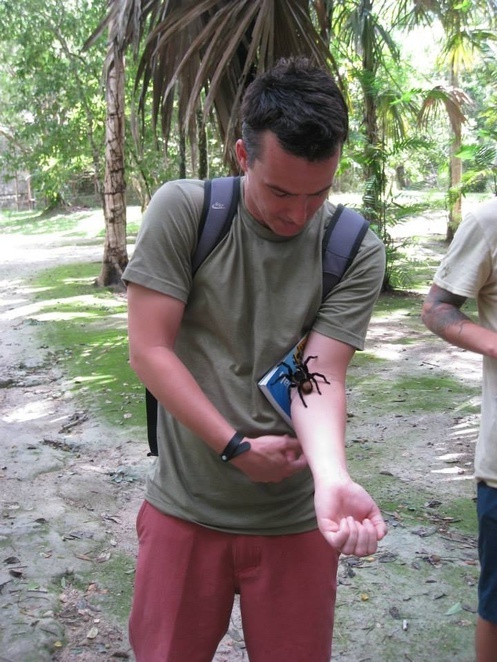 As the mosquito bites showed, I'd been bitten by the Tikal bug, and the jungle fever is only now starting to take hold. Those temples are outstanding. They're really well intact.